The Facom S.154 1/2 inch drive long handled ratchet driver has a very compact round head for excellent access. The 72-tooth ratchet mechanism gives increments of only 5° . 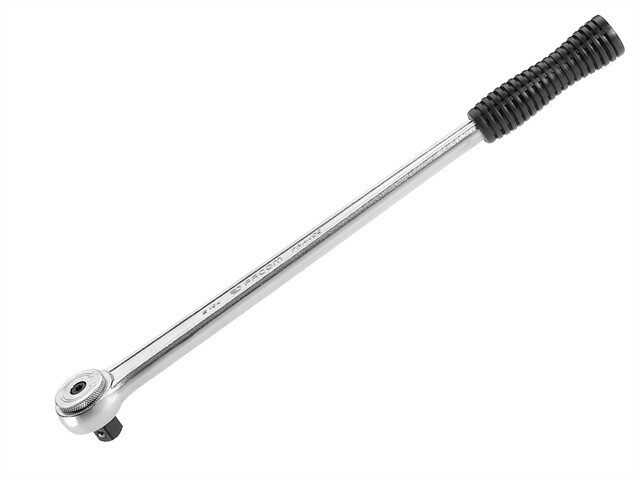 This ratchet driver is equipped with a long handle which can transmit more torque without over-loading the ratchet mechanism. Performance: Conforms to ISO 3315, DIN 3122 and NF ISO 3315.